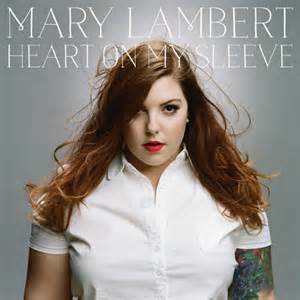 Before the Macklemore and Ryan Lewis’ hit Same Love, most of America would have answered “Who is Mary Lambert?” with a confused “Huh?” But after the single as well as her debut album premiered in 2014, One thing is very clear: Mary Lambert has talent, and she is here to stay. Lambert’s newest album, Heart on my Sleeve, is full of slow but catchy songs perfect to listen to on a rainy day or with friends. The catchy tunes are pleasing to the ears, and the deeper meaning behind the lyrics shows Lambert’s creativity and poetic inspiration. “I wanted the songs to be poignant and raw, but I want to hear them on the radio. I like to describe Heart on my Sleeve as a pop album with a conscience,” said Lambert. The song makes it clear that Lambert refuses to go along with what society expects from her; she refuses to hide her personality just to fit in. Being classified as a somewhat “large” body type, Lambert is trying to teach women how to be confident no matter what people are saying about you. In order to get over the impossible expectations and insecurities placed in women’s minds by society, they must be taught that anyone can be beautiful. “I felt like there were a lot of songs coming out about self-empowerment and challenging beauty standards, and I wanted to write a song along those same lines, but in my voice.” said Lambert.